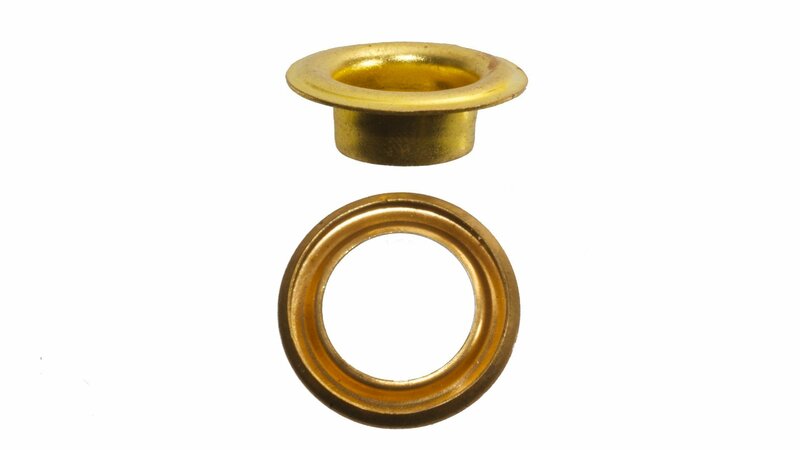 Self piercing brass gilt eyelet and ring. Outside dia 14.29mm, Inside dia 7.94mm, Barrel length 5.95mm. Nickel finish also available from stock. If you need any advice on the best product and setting method for your application, OPAS are happy to provide professional expert advice. 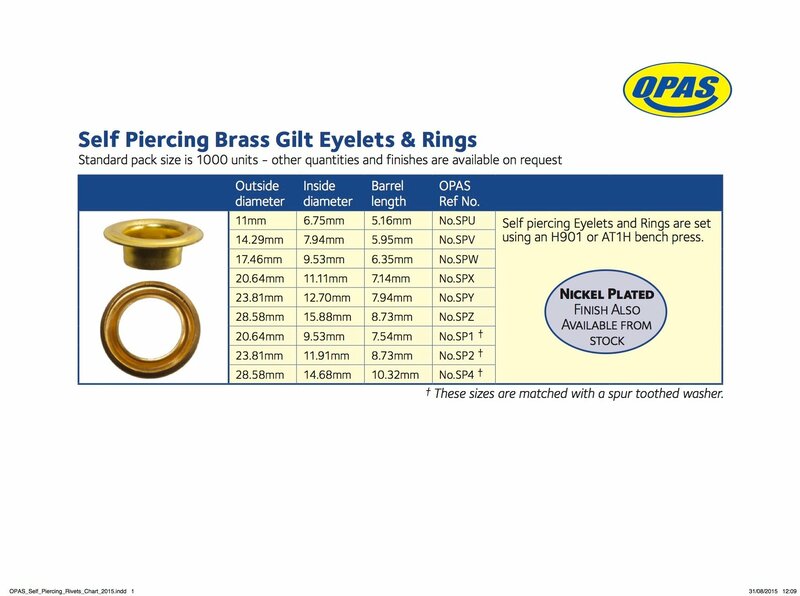 Standard pack sizes are 100 or 1000 units - other quantities and finishes are available on request.